The title to a car proves who owns it. Obviously, if the ownership of a car changes, then the title needs to change hands (and names), as well. This applies to buying or selling a car, but it also applies to inheriting a vehicle from someone, as well as gifting or receiving a car as a gift from a family member. 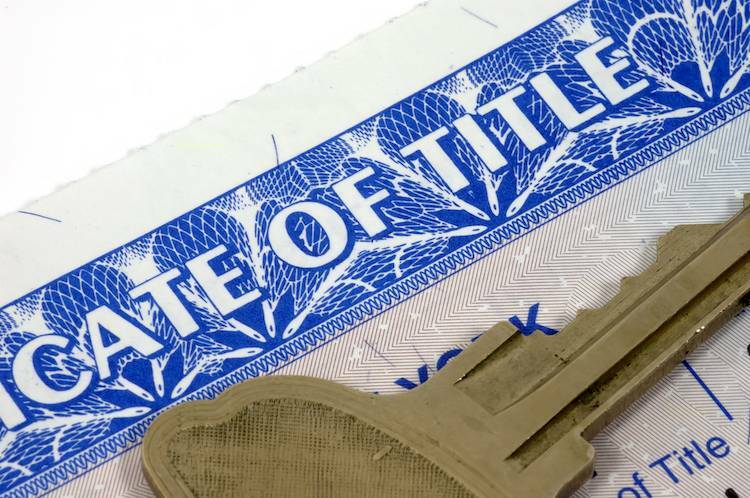 There are several things that residents of Kansas should know about transferring a car title. If you’re buying a car in Kansas, the title will need to be transferred into your name. If you’re working with a dealership, they’ll handle the process, but if you’re buying from a private seller, you need to follow these steps. Get the title from the seller and make sure that it’s completely filled out. Complete an Affidavit of Purchase Price and make sure all the fields are filled out. If the title does not have space to put the purchase price, or you’re buying a car from out of state, you’ll need a bill of sale. Get a lien release from the seller if there are liens on the title. You’ll need to get insurance on the car and provide proof of coverage. You’ll need a Motor Vehicle Examination certificate if the car is purchased from out of state. These are issued by inspection stations throughout the state. You’ll need to complete the Title and Registration Manual Application. You’ll need to bring these documents and payment for the registration and transfer fees to your local DOR office. Title transfer costs $10. Registration costs between $20 and $45 depending on the vehicle. Complete the fields on the back of the title and make sure that anyone else listed on the title also signs. Provide the buyer with a lien release if the title is not clean. Complete the Odometer Disclosure Statement if there is not room on the title for the odometer reading. Complete the Damage Disclosure Statement if there is not room on the title for this information. Complete an Affidavit to a Fact or a bill of sale if the title does not have room for the purchase price to be listed. Submit a Seller’s Notification of Sale to the DOR to remove your name from the database. Remove your license plates from the car. Transfer them to a new vehicle, or turn them in to the DOR. Both gifting and inheriting a car in Kansas are complicated processes. If you’re inheriting a vehicle, you’ll need the original title, as well as the Decedent’s Affidavit or a Claim of Heir and/or Beneficiary Affidavit, depending on the situation. You’ll also need the current registration, as well as a completed Title and Registration Manual Application. For gifted vehicles, the seller will need to complete an Affidavit to a Fact and list the transfer as a gift. An Affidavit of Relationship may be needed if the gift is to a family member. The seller will also need to complete a Seller’s Notification of Sale. For more information about how to transfer a car title in Kansas, visit the state’s Department of Revenue website.